diseases such as chronic bronchitis, pulmonary emphysema; and chronic asthma. 2. To strengthen the heart muscles after a heart transplant or open heart surgery. 3. To strengthen the diaphragm, which separates the abdomen from the thoracic cavity. 4. To develop respiratory endurance. 5. To improve conditions such as stress and depression. 6. To help cut down on medical expenses. The fourth most common cause of death in the United States is from respiratory maladies. Approximately fifteen million people a year die from these problems. These institutions use the harmonica as part of their respiratory therapy, conducted by pulmonary specialists and respiratory therapists. The Florida Hospital Celebration of Health, Florida; Ohio State University College of Nursing; Ohio: and The Deborah Heart and Lung Centre, New Jersey. The harmonica is the only blow and draw common musical instrument. The only primitive musical instruments that can be played by blowing and drawing are the Sheng from China; and the Khane, from Laos and Thailand. Using the harmonica as a physical therapy tool, and as a musical instrument to give you pleasure, can become an addiction. Take good care of your health and don't smoke. extent, harmonica playing is beneficial to patients with impaired breathing." Midwest Pulmonary Consultants Pulmonary Diseases & Critical Care, K.C., MO. causing physical and mental fatigue. Asthma: An allergic disease accompanied by wheezing and shortness of breath. Bacteria: Small microorganisms that can cause disease. Bronchitis: Inflammation of the bronchial tubes that pass the air to and from the lungs. 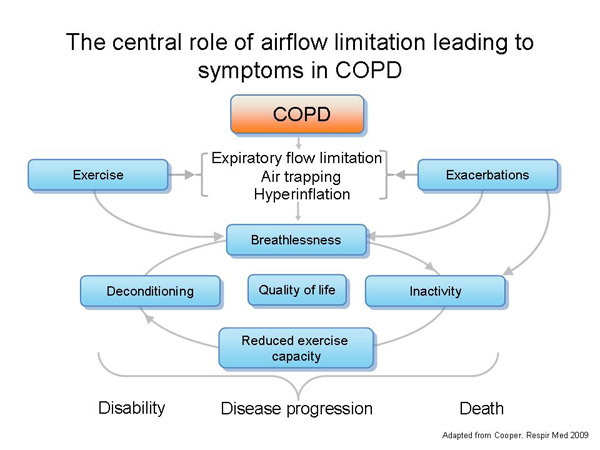 resulting from the airflow through the bronchial tubes within the lungs that is partially blocked. Chronic: Marked by a long duration or frequent occurrence. Hypoxemia: Insufficient oxygenation of the blood, causing a rapid pulse and laboured breath. LRT: The lower respiratory tract, lungs, and airways to the lungs. Pneumonia: Inflammation of the lungs caused by bacteria, viruses, and chemical irritants. Sinusitis: An infection of the sinuses. URT: The upper respiratory tract, sinuses, and the throat. or no response from shutting off your nasal breathing ). Raise your eyebrows as you inhale. mouth and 5% of your air through your nose, inhaling and exhaling. practice, a minimum of one hour a day. Also, try practicing all of these exercises by using only hole 1. Then try using only hole 4. After you have worked on these exercises every day for about two weeks, you will change your breathing cavity to breathe from the centre of your chest, inhaling and exhaling ( not from the lower part of your abdomen, the diaphragm ). Continue to breathe through your nose at all times. This is the correct method of breathing for the diatonic harmonica. The correct method for breathing for the chromatic harmonica is from the diaphragm area. I strongly recommend using a diatonic harmonica for these exercises. The air channels are shorter, whereas in the chromatic harmonica the air channels are longer, which means it takes more air to play it.. These exercises are not just for the elderly, but for all ages. If you know of anybody, such as a family member, a relative, friend, or a person you work with, who has or had any lung or heart disorders, then tell them about this information. Caution: If you have any serious heart problems, consult with a cardiologist before you attempt these exercises. Repeat all exercises. Do Not shut off your Nasel Breathing.